Cutting Edge completed 180 shots for Underworld: Blood Wars. The fifth installment in the popular franchise sees main character, Selene return once more to face brutal battles with both vampires and lycans. 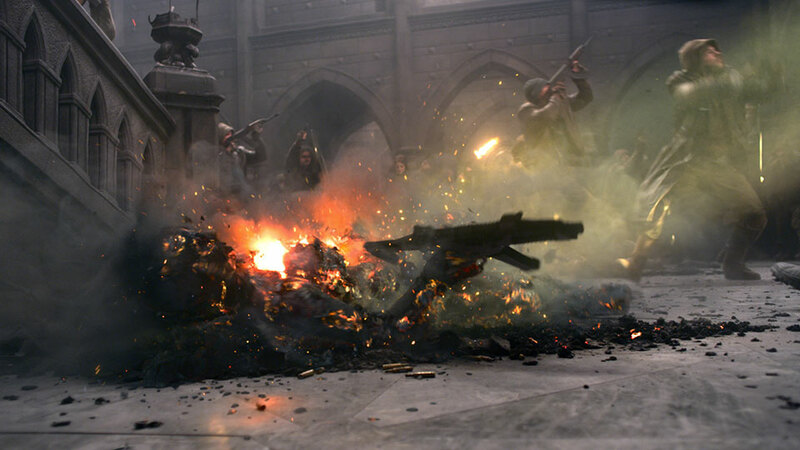 Cutting Edge’s VFX team was called upon to raise the visual spectacle of multiple scenes throughout the supernatural action film. 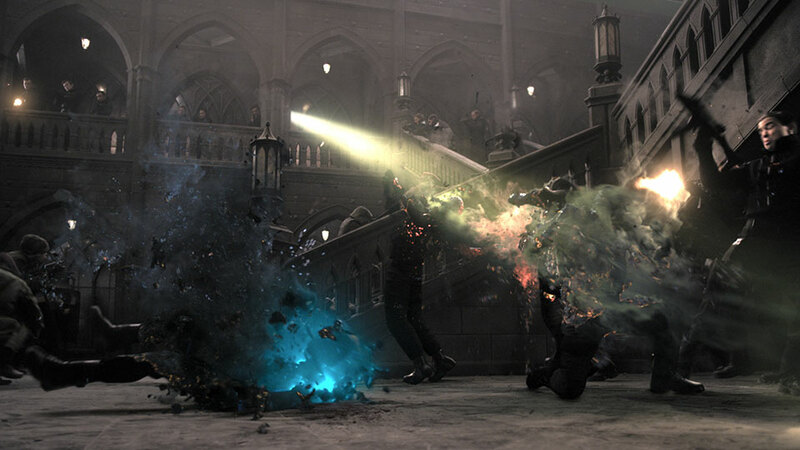 The high impact scenes including large scale battles filled with UV bullets, disintegrating vampires, digital blood and debris, and supernatural teleportation. “Creating accurate digi doubles for the vampire disintegration was an enormous challenge, not least because of the varied nature of the characters and the plates. We had to hand track every element of clothing, skin and even hair so that we could later rip it apart. On top of traditional tracking techniques we had to come up with a whole new suite of tools to enable the match move artists to follow the actors’ movements. Each actor had to be meticulously modelled, textured and rigged for fast turnaround so we adapted our rigging pipeline,” said Sutton. With a range of integral shots to contribute to the film the artists were given the opportunity go all out by the filmmakers. “Our establishing shot, where we first get a long look at a vampire being killed was great in terms of performance but as the action over the effect progressed we wanted to explore the scene further with a bigger camera move. Our client had given us the option to go further, so we did. Our effects team went to town with what they had, ripping off clothes, trailing bits of charred bone, and timing it all to play out to keep it interesting, such as having a skull roll away from the body proper. The plate had to be reconstructed from a hybrid of techniques using projections onto our digi double geometry and meticulous cleanup in paint. 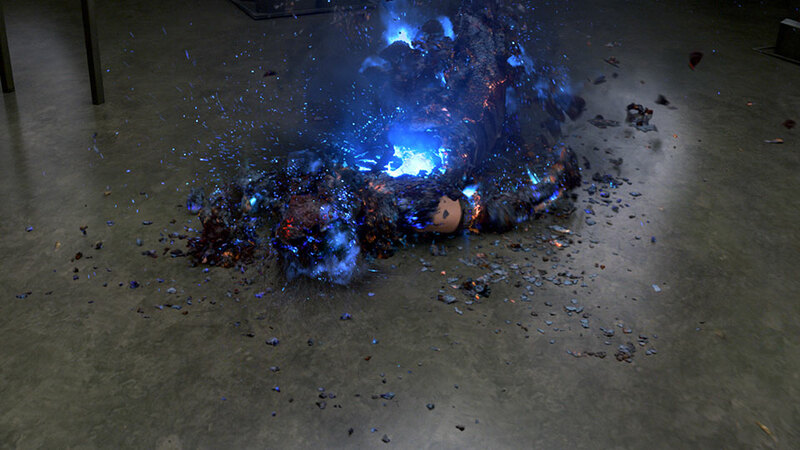 Then it had to be relit in a 3D environment, allow the movement we knew the shot needed,” Sutton explained.